Updating your roof color can cause serious curb appeal. Get it right and you’ll be the envy of every home on the block. But get it wrong and your house can turn into an eyesore. This year, the most popular roof colors are daring shades of red, white and blue. Not into the patriotic color palette for your home? Not to worry, there are many other color options to choose from. So which color will make an impression, enhance your street style, and boost your home’s value? 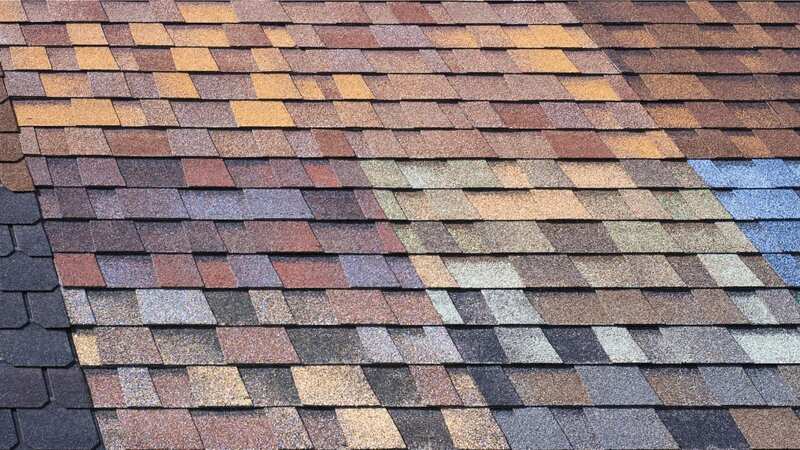 Follow this guide to determine which roof shingles colors work best for your home. Here’s a geography lesson for you. Your shingle roof color is going to have an impact on the temperature of your home’s interior. Climate is something to consider when weighing different color options. Lighter color roofs reflect the sun’s glare, cooling the home off. Darker colors will absorb heat, warming your home. 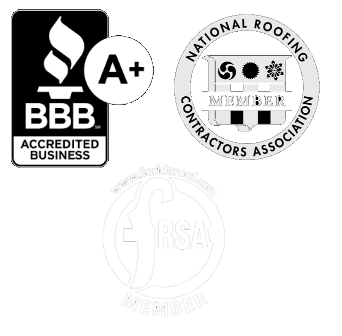 Here in sunny Florida choosing a light-colored roof can keep your attic up to 50 degrees cooler. This means using less air conditioning and conserving more energy. However, if a darker roof is your desire, then go for it! Just be aware of the increased energy cost that comes with it. Is the design of your home warm and welcoming? Or bold and modern? The color of your roof should blend well with the style and color palette of your home. Exterior paint colors, shutters, doors, and porches should all get factored in. While the colors of these home details are easy to change, your roof color will be more long term. Traditional homes are a vision in classic black and white. While Mediterranean homes make a statement with a reddish brown roof. Contemporary homes are about the elements and can go neutral or bold in color. Coastal homes are a bit unique, so get creative with them. Their roofs can mimic the colors of a peaceful cloudless sky or the tranquil turquoise of the ocean. If you’re on the fence or stuck between two colors, you can always go for a color blend. Go for a dual brown multi-colored roof in tan and cream shingles. If you’re stuck between black and grey, opt for a charcoal grey. What Design Elements Are Included in Your Home? A home’s roof looks best when it complements the materials used to build it. Whether your home is made of glass, brick, wood, stucco, or stone, there is a roof color to add further dimension. Play up the architecture of red brick homes with a black, grey or green roof. It will bring out the red hues in the bricks, making your home stand out more. A white roof will bring out the texture of a grey stucco or vinyl sided home. The natural beauty of wood gets enhanced with roof shingles colors in black, green or red. You can make a neutral colored home standout with multi-colored tiles in shades of red, brown, and tan. Pay attention to the pitch or slope of your roof. It’s a good indicator of how visible your shingles will be from the ground level. A darker shade will make your roof’s height less noticeable. While a lighter shade can create an illusion of a taller roof and larger home. Use roof shingle colors to enhance the other design features of your home. This includes dormer windows, window walks, and gables. How Is Your Home’s Exterior Decorated? 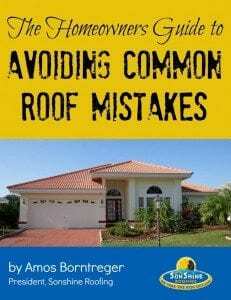 Don’t make the mistake of only considering how a roof looks from your front yard or street view. The shingle colors you select will be as important for your backyard view. Consider whether you want your roof to be a subtle design element of your home, or stand out and make a bold statement. Think about the style of your outdoor living area, including the furniture colors, patterns, and textures. These things may be easy to change, but you want the design to all flow together. Use nature to your advantage. Ensure your roof color blends well with your landscaping. Consider the color or pattern of the pavers used on your back patio or pool area. Does your home have detached features? Garages, guest houses, barns, and sheds will also come into play when selecting the color palette of your roof. With such a wide variety of colors available, shingle roofs are compatible with all different styles and designs of homes. There are cost-effective options, as well as high-end materials and installation methods. It all depends on the quality and level of craftsmanship you’re looking for. Think of the cost of replacing your roof as an investment. With shingles lasting an average of 20 to 25 years. Shingles may be the most favored roofing material, but they’re not your only option. You may want to consider other roof options to change the style and texture of your roof. Metal, slate, tile, clay, and concrete are all efficient and long-lasting options. Another important thing to consider is how your home will stand up to the elements. Hurricanes and algae can shorten the life of your roof. So be sure to pick a roof material that can withstand these elements, and prevent against leaks. Here are more tips for a longer lasting roof. Whether you are making a home upgrade or looking to change the design aesthetic of your home, a new roof is a big investment. Here’s more on what to expect during the roof replacement process. Once you’ve selected your roof shingles colors, be sure to use a professional with outstanding craftsmanship quality. This is important for the protection of your home, as well as if you plan to sell your home in the future.